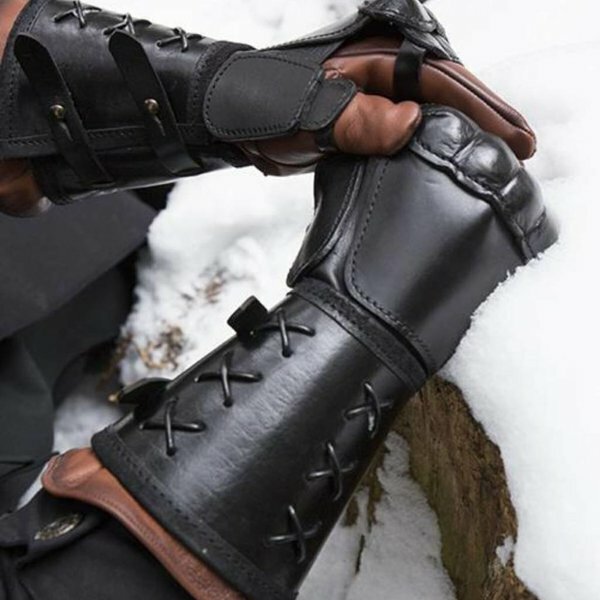 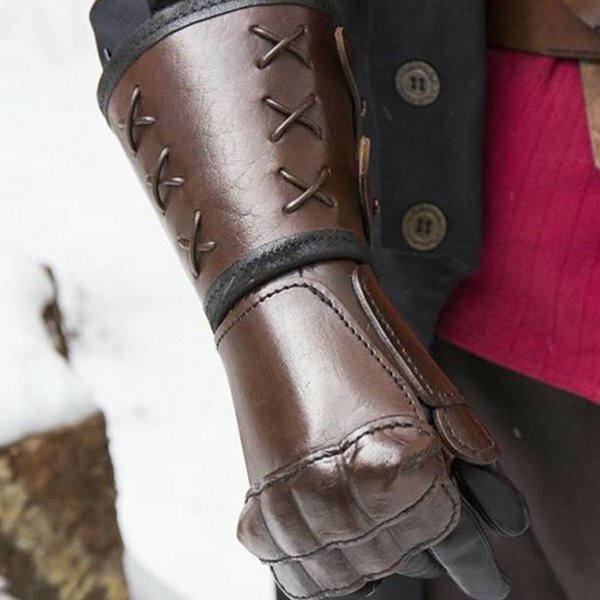 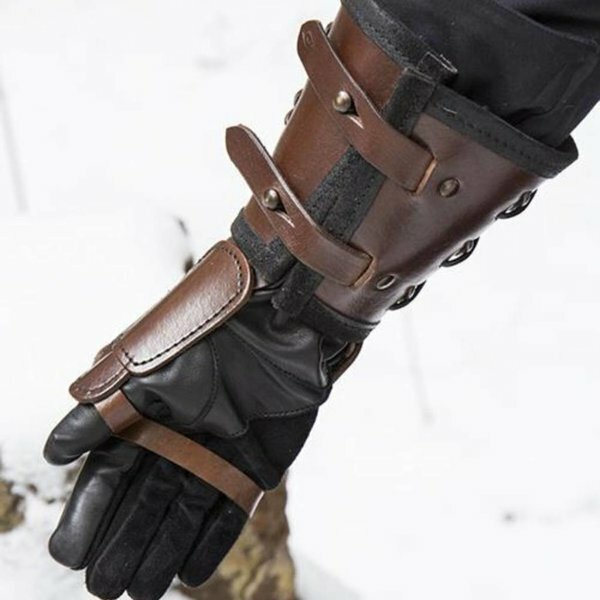 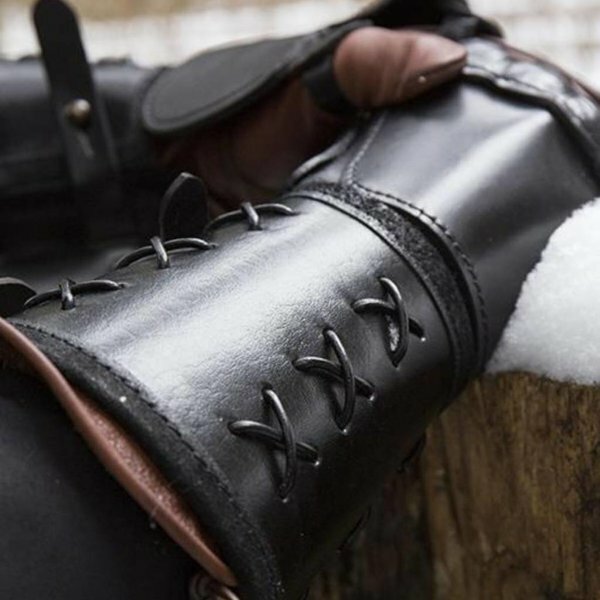 A strong and thick hard leather gauntlet for the left hand. 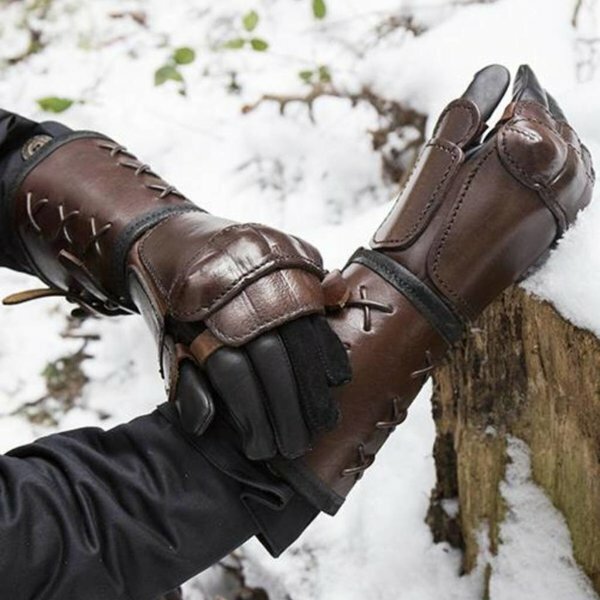 Provides an excellent protection for the hand and lower arm. 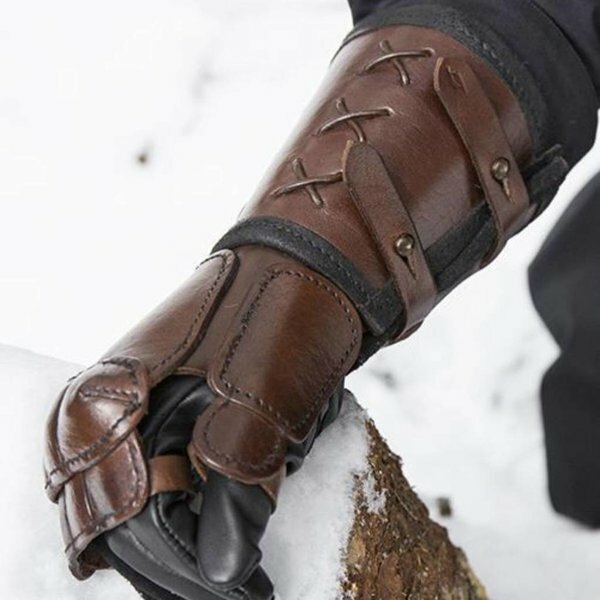 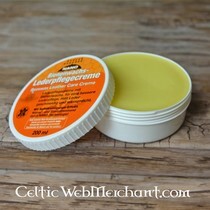 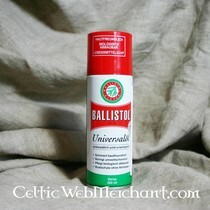 It protects in extreme situations and is comfortable on the hand. 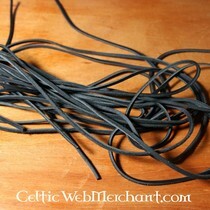 It is 30 cm long and has a weight of 265 g. One size fits all.